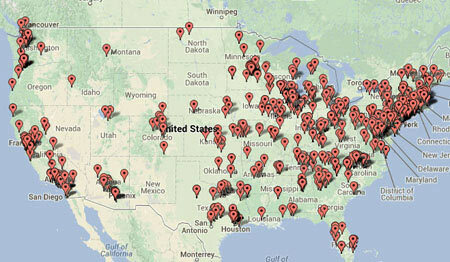 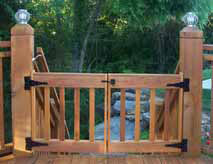 Click the arrow ">" to the right of the main photo below, to see real Snaptight Gates delivered to our customers! 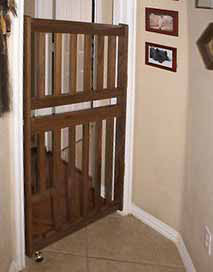 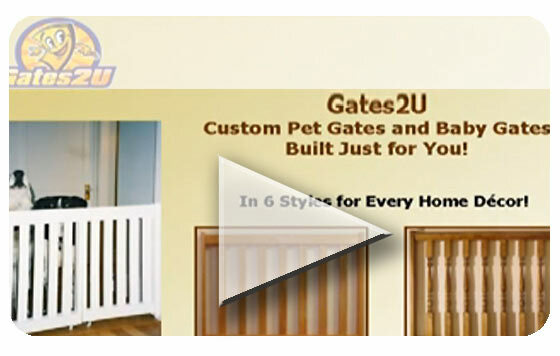 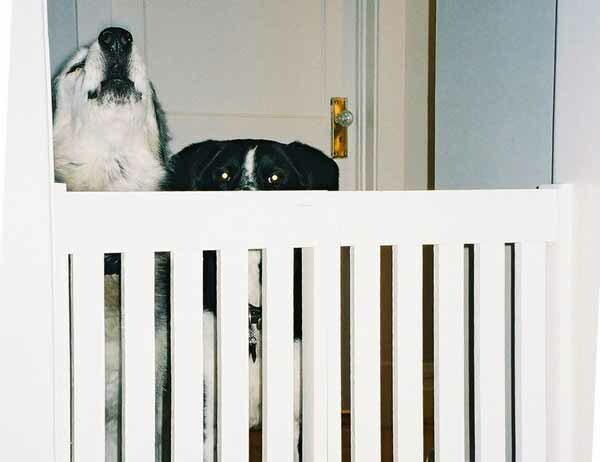 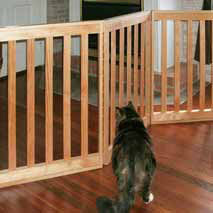 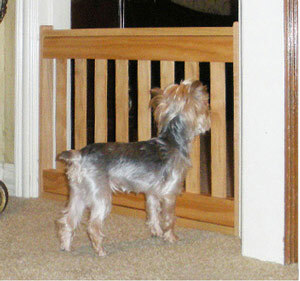 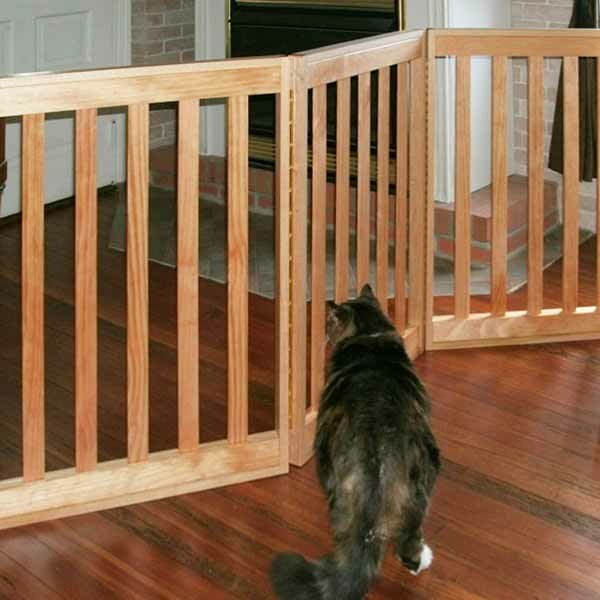 Snaptight Pet Gates sold Fully Assembled, as a Kit, or just get the Plans! 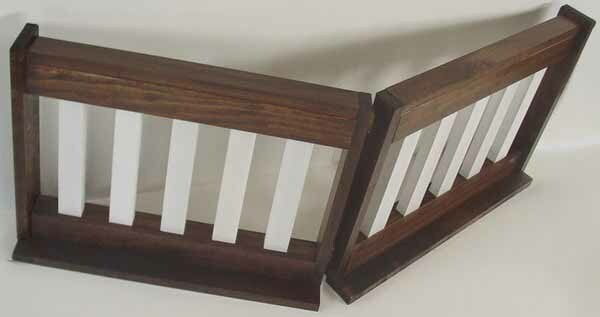 A sturdy, with strong slats sinking deep into the hand and footrails. 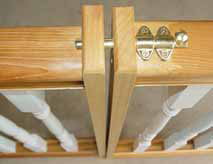 Pops into doorframes having a raised doorstop. 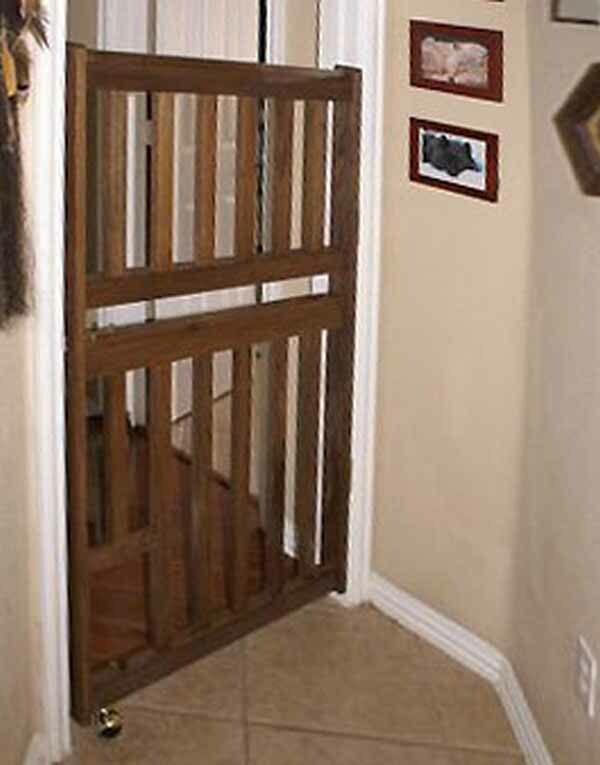 Gates cut exactly to fit your doorframe. 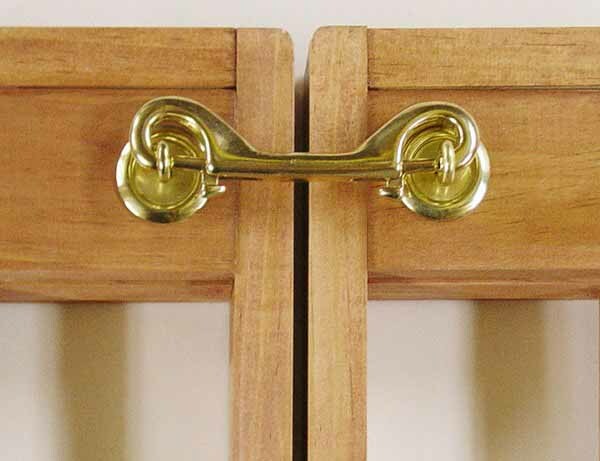 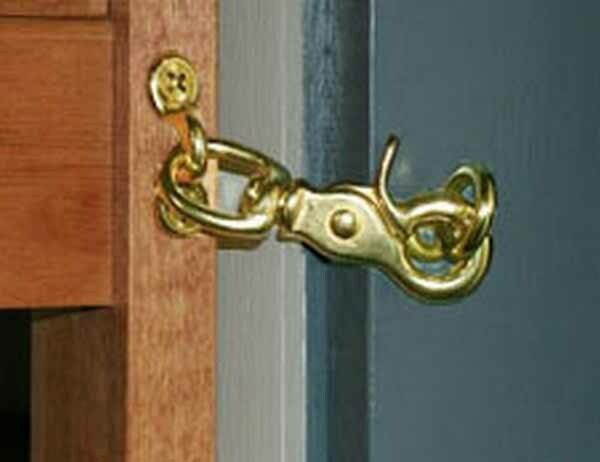 Gates have small springy prongs on the side, that slide into a small brass cup that you install within your doorframe (see photos). The brass cup is slightly smaller than a dime in size and attaches with a pin nail. Slats are 1 1/2" wide, 3/4" deep. 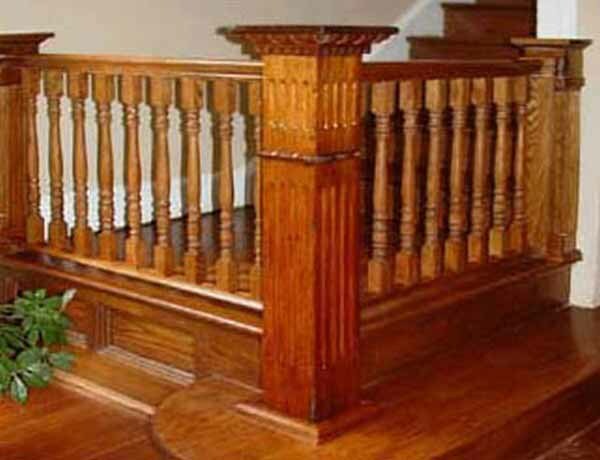 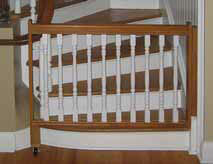 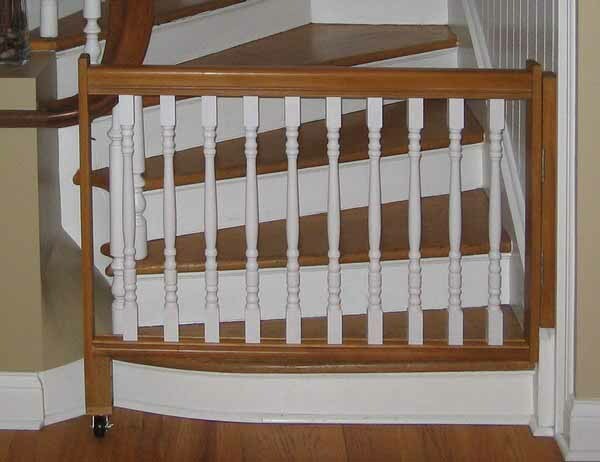 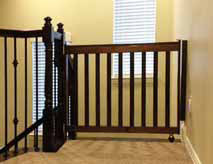 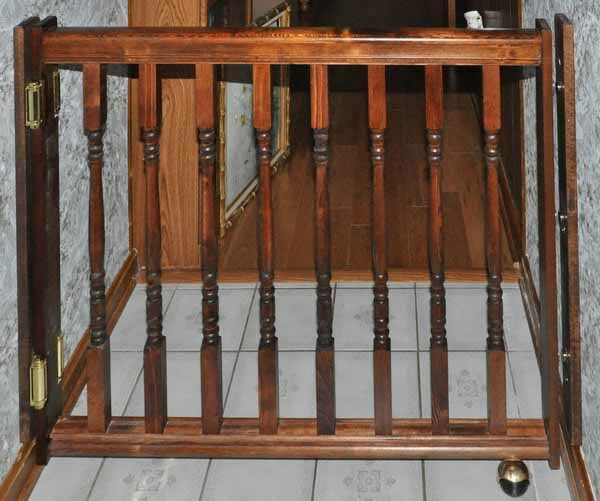 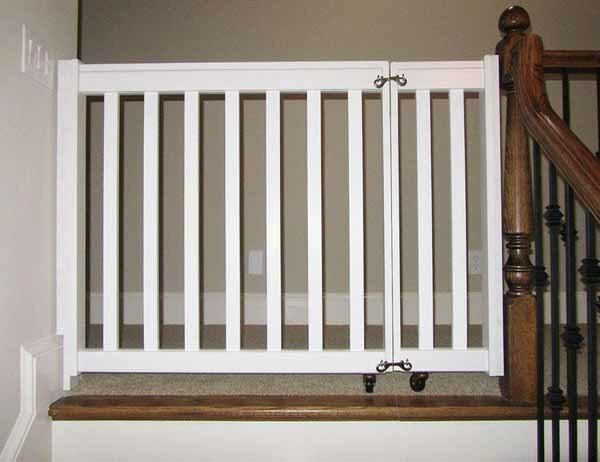 Handrails are 1 5/8" from front to back. 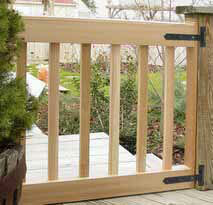 Sides of gate also 1 5/8" deep. 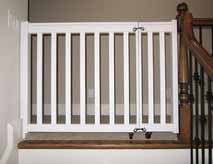 Widths up to 42". 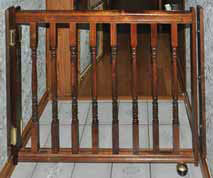 Heights up to 42". 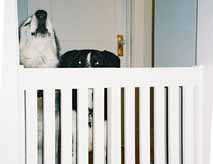 Heights over 37" may significantly increase shipping costs due to UPS oversize fees. 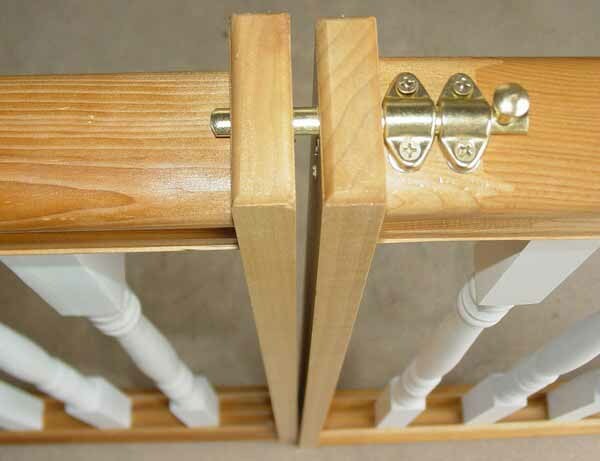 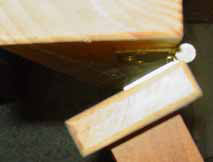 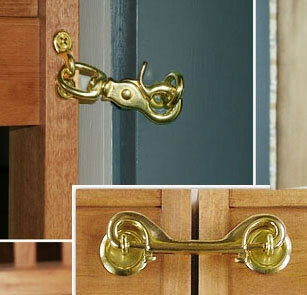 Assembled gates require only a hammer for easy installation of the brass cup/catch. 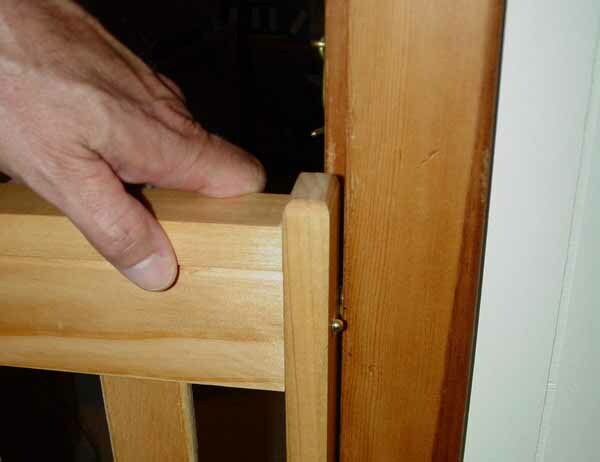 In contrast, DIY kits require drill, screwdriver, and a brad nailer (ideally pneumatic, for speed; use a hammer if no nailer available) for assembly.